At MVCS, you will often hear children talking about "fort building." During middle childhood (ages 5 - 13), children seek independence and private spaces as they develop their identities as individuals. 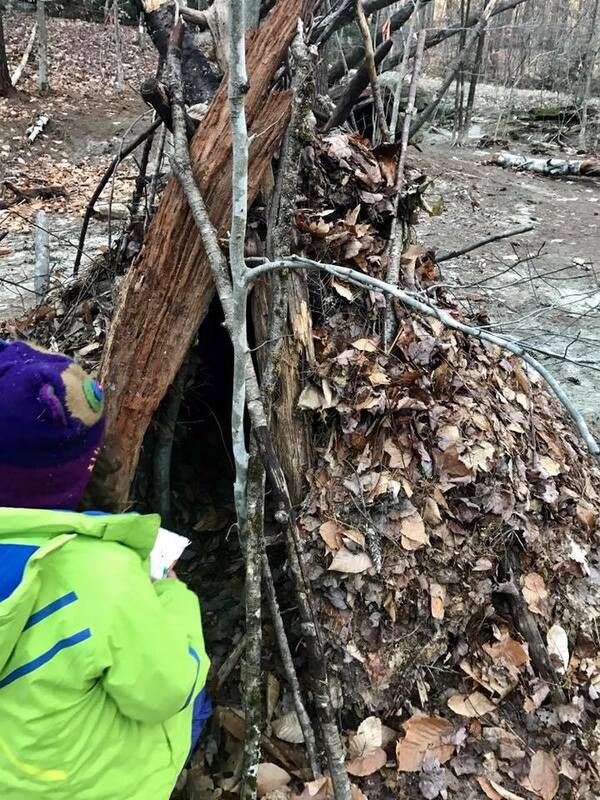 Fort building is an integral part of outdoor curriculum at MVCS, allowing our students to construct, alone or with friends, three-dimensional, child-centered spaces. These cozy spots not only bring a sense of satisfaction and comfort, but they also develop critical social and developmental skills as students learn to work with others, problem-solve, and create their own spaces in our wide world. As our students grow older, fort building develops into a more complex project. Students figure out how to weatherize their structures and develop a greater understanding of how people have worked with natural materials in the past. "[Fort building] gives me a time to create with nature. It’s a free time or observing other peoples’ forts or building your fort. You just have to think in your mind a lot and you decide whether it should be short or tall or small or big."